Skin care is considered as an essential part of every woman’s beauty regime, especially in this modern age of dirt, dust and pollution. Irregularity and negligence in maintenance can result in several skin problems such as early signs of aging, acne and more. It has been observed in medical surveys that more than 75% women tend to suffer from skin problems such as cystic acne, blackheads and whiteheads. 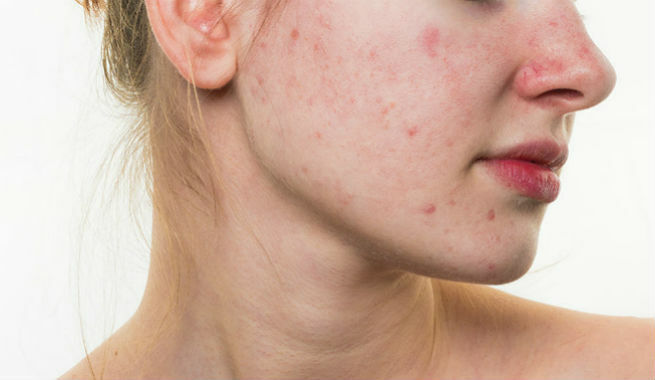 Read below to learn more about acne related skin problem, its causes, remedies and more. Acne is a typical problem among women and most often develops as soon as puberty starts. Considered as a long term skin disease that can affect any age group, acne occurs when the hair follicles get stuck in the oily dead cells of skin. 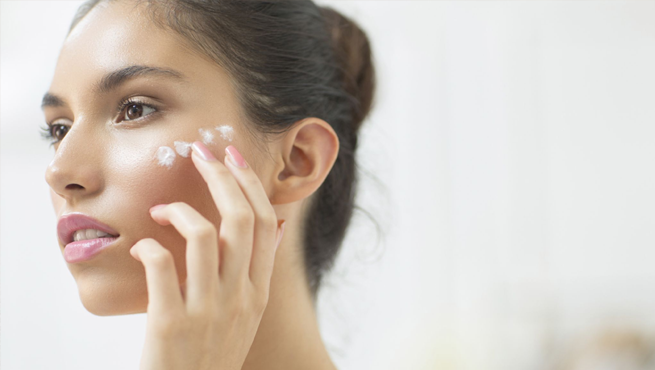 Most often it is observed that people with oily skin type gets affected with this problem easily. From pimples, skin scars to serious blackheads, there are different types of issues that can lead to depression, low confidence, stress and anxiety among people. Dermatologists say that due to more number of oil glands in the upper part of our body, areas such as face, neck, upper arms, back etc. are more affected. Also Read – Try These 5 Simple Multani Mitti Face Packs For Acne & Pimples And Thank Us Later! 1. Hormonal imbalance: One of the prime causes of acne is hormonal disturbance in a human body. If an individual has higher level of androgen, he/she will be more prone to this skin disease. With more androgen in body, the oil glands tend to expand, thus resulting in breakage of cellular walls of the skin and pore clogging. This in turn gives birth to acne producing bacteria on skin. 2. Genetic problem: Most of the times, an individual inherits his/her skin pattern and qualities from parents or family members. Thus it has been concluded by skin experts that almost 80% cases of acne is genetic. 3. Side effect of some medicines: Thirdly, if a person is taking any medicine that comprise of high dose androgen and lithium components in it, chances of acne is always higher. 4. Menstruation problem: Having problem in menstruation is yet another cause of acne in women. Doctors are of the opinion that irregular periods, improper blood discharge and other problems boost up the chance of this skin problem. 5. Improper usage of cosmetics and makeup items: Most cosmetic products are made of chemical ingredients, resulting in multiple skin issues. To reduce possibility of acne, dermatologists recommend high quality make up products. 6. Mental stress, anxiety and incorrect lifestyle: Finally, an undisciplined lifestyle comprising of mental stress, anxiety and inappropriate diet also causes acne and other skin related problems. Salicylic Acid, also known as Betahydroxy acid or BHA is developed by treating the powdered bark of willow tree with oxidants and then filtered. It has the ability to penetrate deep into the skin pore and dissolves dead skin build up. It peels away the top layer of the skin and does not let the pores to get clogged. Salicylic acid also has excellent anti-inflammatory property and is basically more suited for the sensitive skin. It works well for people whose skin is prone to blackheads. Salicylic acid helps in exfoliation of the skin and it also reduces inflammation. It is highly effective in fighting acne and at the same time soothes the skin. Skin Type VI (Black skin color that tans very fast). It helps exfoliate and remove the top layer of dead skin cells. With regular use, this ingredient helps reduce the skin pore size. It has natural soothing qualities, thus providing relief from inflammation. Over usage of this component can result in various side effects. It works slowly, thereby taking more time to show results. It does not have great effect on the acne bacteria present in the pores. It does not stop the excess sebum production which causes acne. Benzoyl peroxide is another active ingredient that is used to kill bacteria that contributes towards the production of acne. It helps in peeling of the dead skin cells and exfoliating of the skin. Generally found in most of the lotions, gels as well as creams, Benzoyl Peroxide controls the sebum which is responsible for causing acne bumps in the body. Unlike Salicylic Acid, it helps kill the acne bacteria. Benzoyl Peroxide can cause skin redness, dryness and swelling if used inappropriately. It is not advised to use any other acne prescriptions while your skin is treated with benzoyl peroxide. In case of sensitive skin,Benzoyl Peroxide can result in hyper pigmentation and sensation. Banking on a proper diet is most essential. Enrich your meals with green vegetables and fruits that help repair and revive your skin effectively. Apart from this, there are other solutions such as teatree oil, green tea that work wonder as natural acne fighters. Moisturizing your skin daily, especially with aloe vera gel helps reduce acne problem.